Last Game: Wednesday in Allentown, the Penguins lost 4-1 to the Lehigh Valley Phantoms. It was at the seventh straight win for the Phantoms. Thomas DiPauli scored the only gaol for the Penguins. It was his first goal as a professional. 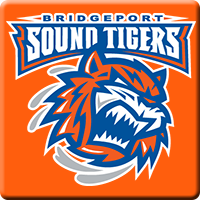 For Bridgeport, the Sound Tigers beat Hershey in a shootout 4-3 last Saturday. Andrew Rowe scored the only goal of the shootout to give Bridgeport the win. Last Meeting: November 5 in Bridgeport, the Pens won 7-1. Jake Guentzel was named first star of the game with two goals and two assists. Why you should care: Bridgeport is dangerously underrated. Penguins crushed the Sound Tigers the last time the two teams met but expect a different outcome tonight in that this game should be a lot tighter than the first. Radio: For WBS: WILK NewsRadio / For BRI: I don’t think Sound Tigers games are on radio. Here’s the link to Mixlr where you could here the Sound Tigers call if you want to. Other Game to Watch: I like the Manitoba / Tucson matchup. The Roadrunners have been the class of the West so far this season and Manitoba have been a surprising bunch. This should be a good test for both teams.